Businesses today cannot afford to sit back and wait for receivables to come in. It is important to manage this aspect of the business in order to ensure that the business has enough cash flow for running of its day-to-day business. 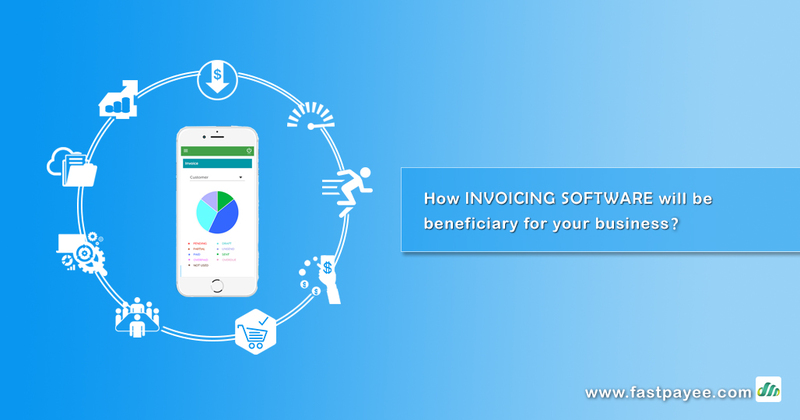 In order to manage this effectively, having efficient invoicing software is important. Today, you can use online invoicing, which is fast and efficient for businesses whether small or large. 1. Cost Reduction – There are people who mistakenly believe that if you have to make changes in the business, you should expect a general net loss of money. Not so with online processes. With online invoicing software, you can expect to cut the cost of paper, IT and server infrastructure costs, costs of inefficiencies because of errors, savings in time and much more. 2. Improved Efficiency – Whenever a business becomes more efficient, you can be sure that the effect on the business will be a positive one. By automating the invoicing process, you will see increased efficiency that will affect the entire business positively. You can automate invoice scheduling, recurring invoices, payment and late fee reminders and more. 3. Fast acting – When you have an online system, it will be working round the clock to deliver your invoices and bill your clients. This means that you will not have to wait for confirmation of receipts since this will also be automatic. This frees you up to do other things. 4. Payment simplification – You can actually simplify the process of payments by setting up profiles for auto billing. Additionally, you will have access to payment gateways, which will allow you to receive payment with ease from clients in other countries as well. 5. Tool integration – You are able to integrate your system with ERP and CRM tools for greater efficiency. 6. Financial Analysis – With this type of system, you will have your reports generated at the click of a button. With this information, you will be better able to plan for the future, and to have a great view of how the business is doing overall. You can manage all your reports for payments and outstanding invoices in order to ensure excellent cash flow. 7. Manage Documents – With efficient invoicing software, you are able to easily manage all purchase orders and client estimates easily. It also makes it easy to manage your other B2B documents efficiently. 8. Integrate E-Commerce – If you have an E-commerce platform, you can integrate both systems and automate the invoicing for the said platform. This means that you will have an invoicing system and a payment process that is smooth. 9. Staff Management – With this system, you can assign clients to specific employees and also define roles. Permissions on the system will help you control the activity of your staff.